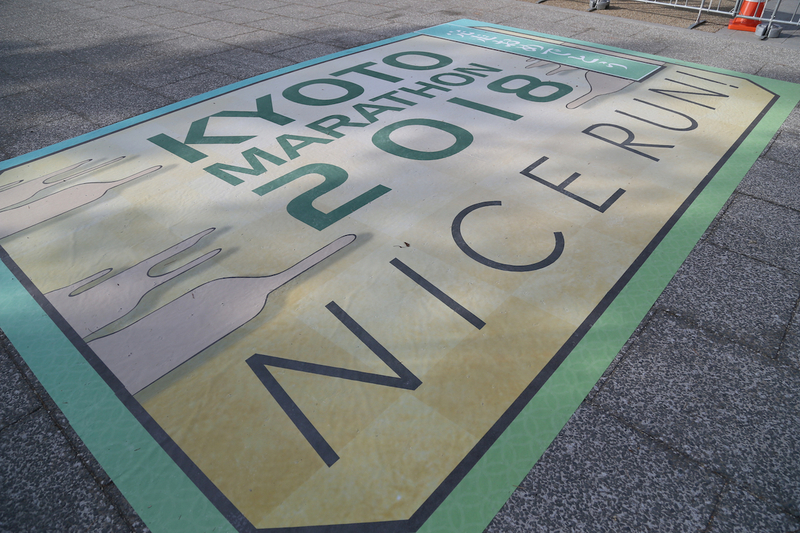 Race Review: Kyoto Marathon 2018 (by Doctor Will) | JustRunLah! In case you ever wondered why the marathon isn’t a Winter Olympic event, I think I know the answer. 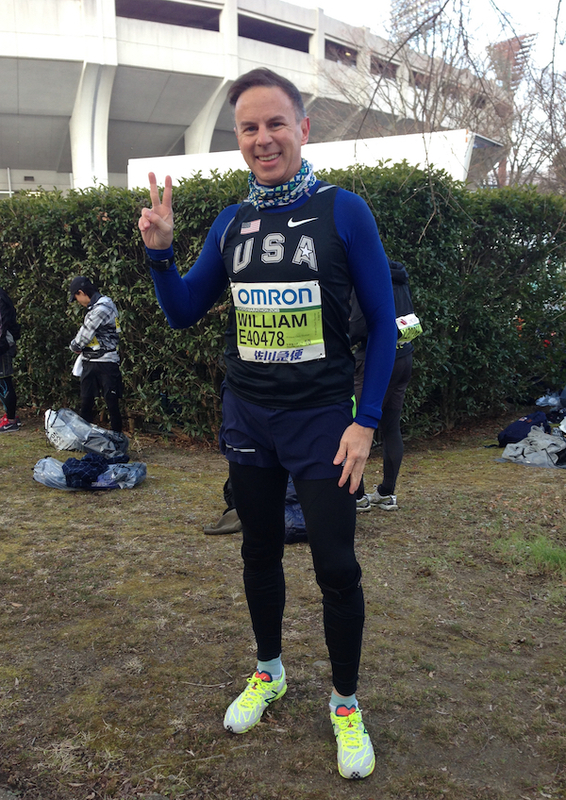 Knowing that the Kyoto Marathon is in February, it seemed obvious this could be a cold one, and it certainly was. With temperatures ranging from 1C-6C (34F-43F) between Start and Finish, it was a little tricky to know what to wear that would be right for both. I ended up with a full set of tights and gloves, and only started overheating at one point, when the sun came out around 30km. If you’re coming here, you should bring a variety of clothes (long-sleeve shirt, short-sleeve shirt, tights, shorts, gloves, headgear) because you may not know until the night before exactly what will work best. It was snowing 12 hours before the Start, and even though it was gone in the morning, that led me to switch from a short-sleeve to long-sleeve shirt. If you have never experienced cold-weather running, you want to be ready for it. We had a 45-minute wait in the starting pen before the gun went off, but with 16,000 runners there was plenty of body heat to go around, like being in a big flock of sheep. Also, I had kept the blanket from my flight to Japan, which provided a good “throwaway” before the Start (volunteers collected discarded clothes and blankets to be washed and distributed to those in need). The race very well organized. One thing I appreciated was that foreigners had a baggage truck with English-speaking staff, which was helpful. It’s worth noting, though, that the phrase “break a leg” is something we say to actors before they go on stage; it’s not something we normally say to marathoners about to start. But still, I appreciated the sentiment from the young lady who took my bag and wished me luck. The water and food stations were also well planned, and well stocked. In addition to pre-peeled oranges and bananas, as well as strawberries, they also had some breads and other Japanese specialty items. I avoided the heavy stuff but was very happy to take as much fruit as I could. 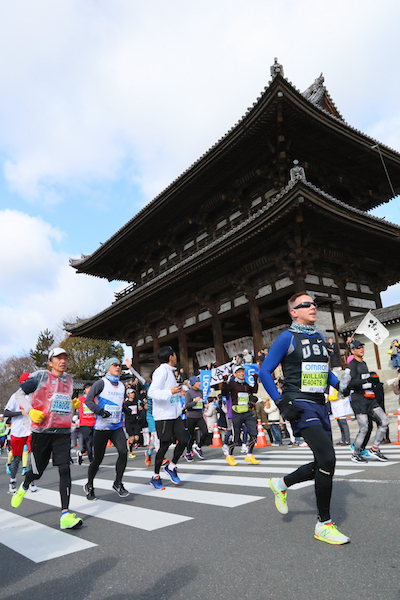 When you run this race (and probably any race in Japan), don’t throw your cups and empty gel packs onto the road. They have plenty of bins, and the Japanese take this quite seriously. They even had runners with trash bags and a bib that said “Sweeper” who were running the race and picking up garbage. Tossing the trash onto the street will earn you some dirty looks, so don’t do it. Speaking of gel, you should bring your preferred brand with you, because you might not find it here. I normally pick up some GU at the expo, but there was none for sale here. I figured I would just go to GNC and get some, and ran into another problem: no GNC in Kyoto or Osaka (or anywhere in Japan, I think). At one point we passed a shrine where the monks were out front and blessing us as we passed by. I’m not a Shintoist, but I was more than happy to take any blessing I could get. Despite having 16,000 runners, the course started off fast. As we ran out of the stadium the path was a bit crowded, but within a couple hundred meters we were on a wide road and were able to spread out. That made it easy to go fast early on, and as I looked at my GPS I kept telling myself, “That’s too fast, slow it down.” But hey, where’s the fun in that? I’ve only been to Kyoto once before and never noticed how hilly it is. Now I know better. The first half of the race has a LOT of hills, not necessarily steep but certainly going on for a long time. There didn’t seem to be much of a downhill slope, we would just level off and then start up again. The second half seemed pretty flat, though there is a long hill starting around 37km. So, if you’re coming here, do some hill work in advance so you enjoy the day more. The course itself is pretty great. It’s mostly though the city itself rather than through the countryside or a big park, so you always have interesting surroundings and spectators. Even the portion that went through the botanical garden had a crowd. You pass seven UNESCO World Heritage sites, and there are volunteers with signs telling you what neighborhood you are in and what you will see as you run through it. If you’re running to win you aren’t going to care about temples and palaces, but if not then you may find the picturesque course to be very nice. Somewhere around 32km, though, we left the road and went down onto a path along the river. This was very narrow and not really smooth. We were down there for about 3 kilometers before getting back up onto the streets. I wasn’t a big fan of that part; I’d already started slowing down and the path didn’t help. Speaking of slowing, it’s worth pointing out that there’s a 6-hour time limit, and they have checkpoints along the way. If you don’t get to each one on time, they put you on the bus. The last checkpoint was around 41km — can you imagine the feeling of being pulled off the course there? So, if you’re a slower runner, watch your time. My final time was about 6 minutes slower than my goal, which is always a bit of a bummer. 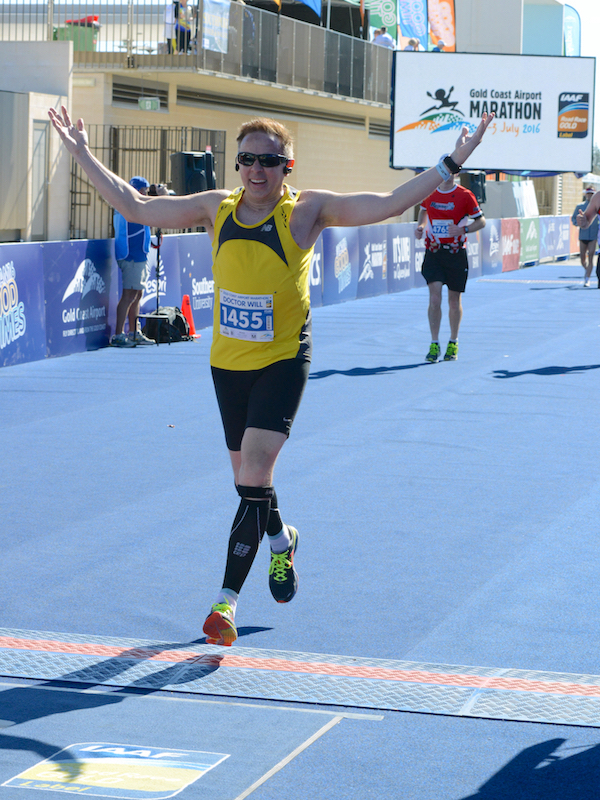 Even without hitting my goal, though, I had a really good time with this race. 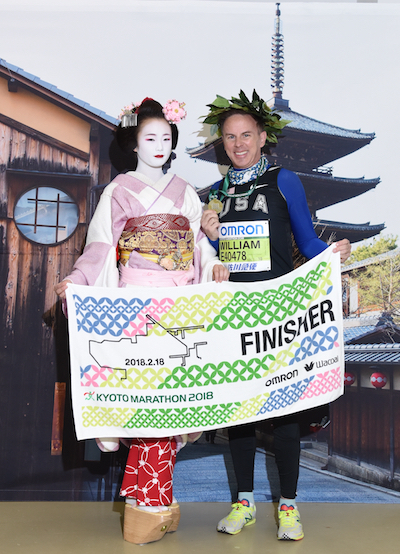 I’ve wanted to run Kyoto for a long time, and I’d also still like to run the Osaka Marathon in the fall, and it’s good to be fulfilling those goals. 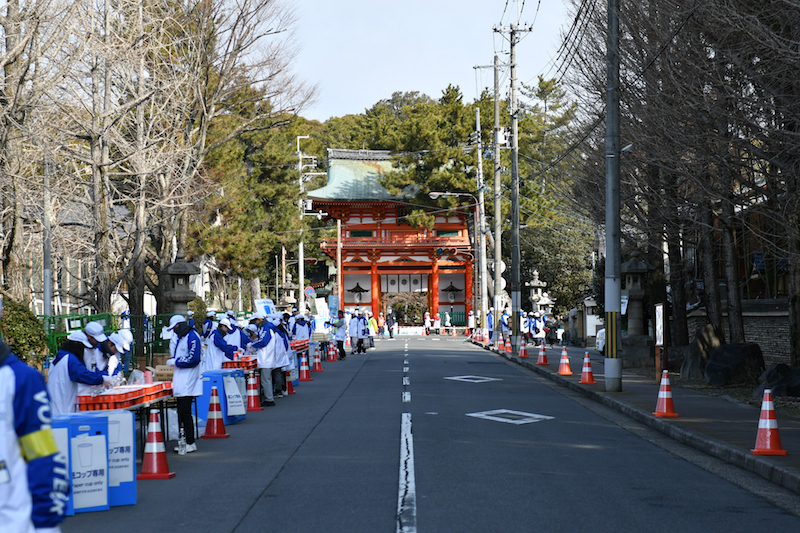 Japan takes distance running very seriously, and Kyoto offers a challenging race that makes you feel good about finishing. Entry into the Kyoto Marathon is by lottery in the autumn before the race (the odds are a LOT better than getting into the Tokyo Marathon). For this year, the entry deadline was 31 August 2017, so set a reminder now on your phone for, say, 1 July, so that you visit their official site to get next year’s entry details. Gambate!!! Click here for more post from Doctor Will. Congrats for finishing the Marathon!